Recently, I spotted Marks (Rainsley) post on ukriverguidebook with a name "Do I Need Wings?" and it made me remember all the process that I have behind me concerning choosing the right paddle. I started to paddle with Advanced Technology (AT) paddles. It was my first paddle ever. I loved it for some time until it felt not „strong“ enough as I was not catching up with my fellow paddlers (there was obviously different reason for that as I look back at the problem). AT is definately fun to paddle. Due to ergonomic shape (shaft and blades), it has big resistance and surfing is great with it. Blade looses a little of power due to its shape. Check out Paddle Guy having fun with it. 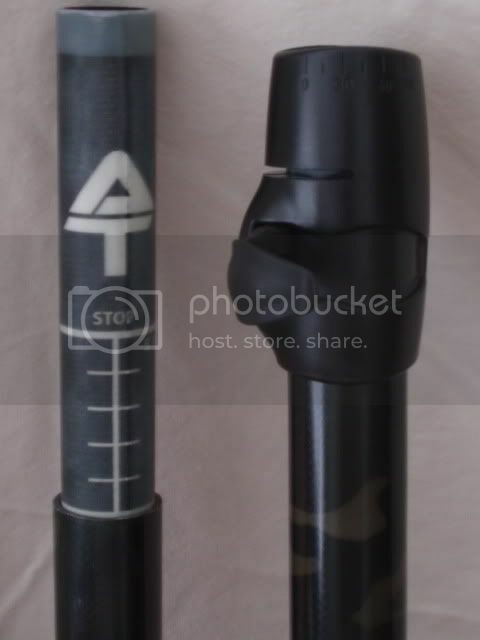 AT is made of a very good material (never broke it, never even scratched it…and it is coming from a guy who is good at it…), it is not heavy and ferrule is very solid (easy to use as well). I am not classifying this paddle as Euroblade…just doesn’t seem and feel like one. The second stage of my paddle/Darwin evolution by natural selection. Raab paddles (made in Czech republic) was not cheap but totally worth it. Very light and RIGID!!! I got it in a two section version with bent-shaft. It has a very practical magnesium tips that have no corrosion issues. Lots of kilometers paddled with it and I am still very happy with it. The only thing that I would change now is the shaft – would get a straight one, don’t really see the point in a bent one. Raab floats really well and the quality of carbon fibre is top class. As I mentioned before, Marks post made me think and remember all the paddles I had. At some point, during our regular practices on a river, we (me and my dad – paddling partner) realised that we need a paddle that gives a little bit more and a „little bit more“ I mean p o w e r. Yes, we all go through this process of wanting to go faster. Maybe we came up with this idea because we were racing all the time. Not really sure. It was enough for me to try Zastera mid Burton and the choice was made – two carbon elite version were sent to us within few days. 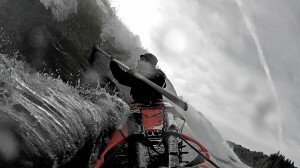 The result proved to be what we expected – the paddle does give you extra power but at extra cost as well. I started to have problems with my wrist and I blame it on my bad technique (my left wrist still hurst). I also did a small speed test. 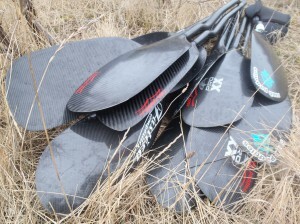 Tried all paddles at the same training ground – 10k that I usually do with other paddles in 1h30min (euroblade) – 1.45h(GP) was done with the wing in 1h13min. It is significant difference but insignificant for me, as I do not really race that much. 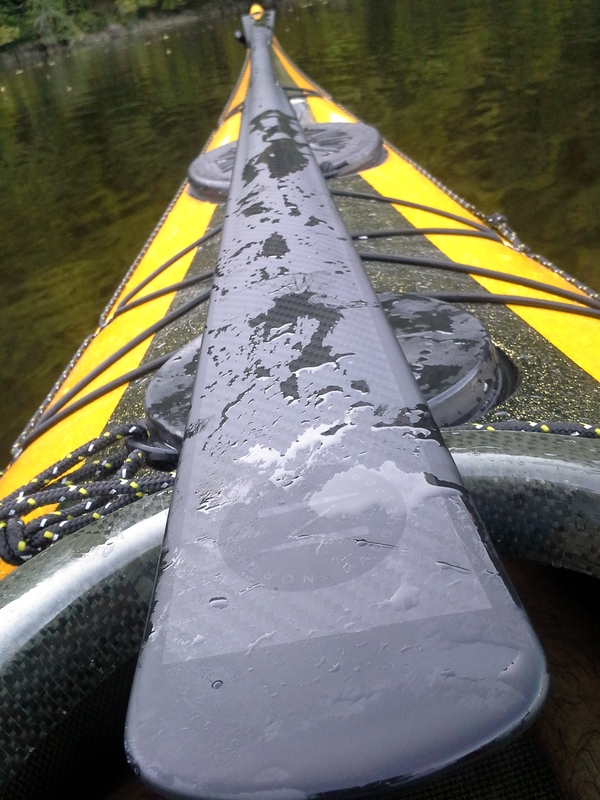 Didn’t really enjoy rolling with this paddle – got to be very cautious with the blade, facing the water right way. I am not comparing weight of my paddles much as the difference of all three above mentioned is not significant. Zastera was with straight shaft and I really enjoy it. My dad ordered Zastera/Raab hybrid – Raab bent-shaft and Zastera blade (just got to know on forum that Alistair Wilson, who founded Lendal paddles, started to do that first). This was an experiment to have power of winged blade and comfortable (not according to my opinion) bent shaft from Raab. Nobody really likes the feel of this paddle. The reason why I started to use GP never evolved from dissatisfaction from any of the paddles above – its was there all along and never left me. I did order wooden GP that I never got hold of longer the few day (never order paddles from people who have no idea what they are doing). Choosing the carbon-fibre GP was tough – you got NOVORCA, NLP, GearLab, Blacklight (incredibly expensive) and some other brands. I chose NLP (first impression here) because of price, 3 piece version and the fact that it is sold in UK (no customs, faster delivery). The only problem that I have with NLP are the tips: very easy to break, so you have to be very carefull. 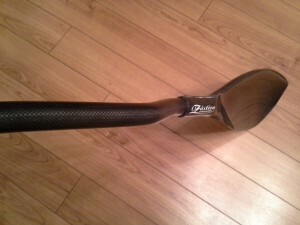 Other than that, it has great feel, very nicely made, not heavy (even in 3 piece version) and paddles well. I paddled the hardest trip in my life with greenland paddle (NLP), biggest waves I ever experienced and the „stick“ was never an issue. My last 100k marathon I took wing and GP on board and switched a lot between those two. Using GP made it really easier to go through the pressure in joints and made the marathon less „painful“. Rolling with GP is just effortless and fun. By effortless I mean that it lets me do things that seem too hard with other two. I tried to eskymo roll on the left side but it happened only after I tried GP – there is a lot to learn with GP and once I master it, there will be no problem using it in rough waters. Greenland paddle is a great teacher, a „stick“ that has many hidden qualities that have to be unraveled. Making your own paddle from wood or composite material is amazingly interesting. 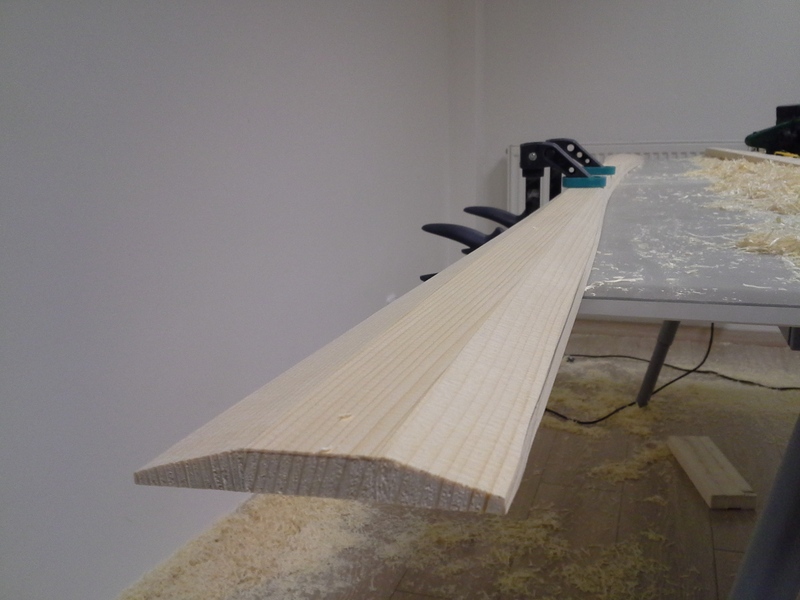 You can shape the blade up to your needs and make trial paddles to test new ideas that you might have. Additionally, making your own paddle, takes your mind away from a daily routine and spices up your paddling days. Don’t get me wrong, I am not collecting paddles and I don’t keep them because I made wrong choices. 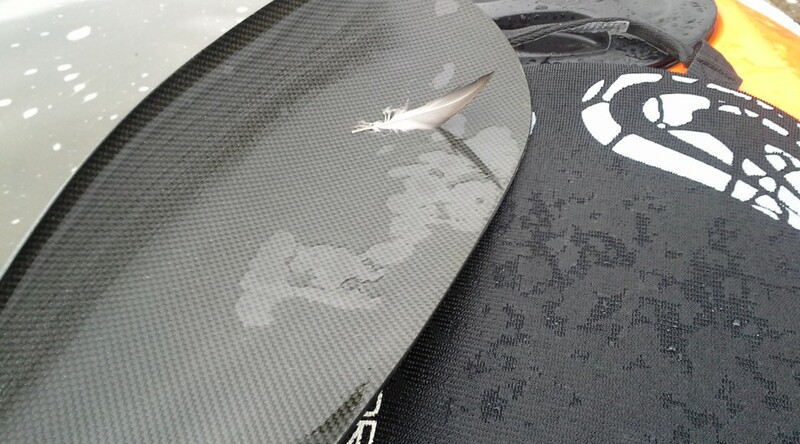 For long distance trips I prefer GP, in rough waters I take Euroblade and for my weekly practise wing is just fine.